Instagram, Snapchat, Facebook, Twitter, repeat. There's a rhythmic routine I fall into every morning when I wake up, when I have a free moment in class, when there's a lull in a conversation. Instagram, Snapchat, Facebook, Twitter, repeat. 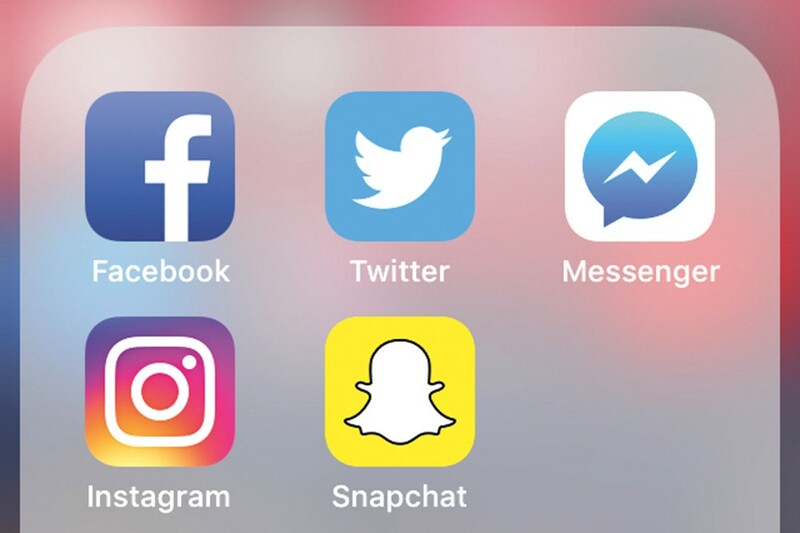 I am a self-diagnosed social media addict, and it may or may not be ruining my life. I often find myself in a trance-like state, opening and closing app after app, failing to recognize that I've alternated through each platform 10 times in the past hour. As I scroll, I see friends, family, acquaintances, enemies, celebrities, fashion bloggers — all of whom seem to have significantly more interesting lives than I. Self-critical thoughts pop in my brain like dumb, sad firecrackers. An old friend hangs off a balcony in Greece, perfectly tanned skin juxtaposed against sparkling Kool-Aid-colored water. I wish had the money and time to travel. A high school acquaintance shows off her new body after shedding 45 pounds. I should go to the gym. A college friend laughs with a group of people clutching red Solo cups. Why wasn't I at that party? Once I've finally broken the scrolling cycle to move onto something more productive, I'm left feeling foggy and utterly lame. It's hard to avoid comparing your life to others. Being active on a social media platform, where everyone shares their successes and tends to avoid their failures is like every person you've ever known bombarding you with "Look at me! Look at this cool thing I did!" all at once. The obvious solution to my problem would be to take a social media detox, right? Go cold turkey, delete all the apps and exist in the real world for awhile. And yeah, that would be super simple and probably prevent my brain from turning to mush in the near future, but let's be honest here. I'm too selfish to not show off my own life. There's a rush of joy that comes from seeing your followers like and comment on your Instagram photos. When someone says something sweet about my profile picture on Facebook, I can't help but grin. I can pretend I'm funny on Twitter, and sometimes, people will believe me. Without Snapchat, my friends would be deprived of all the ugly selfies that I send on a daily basis, and that's just plain unfair. The original print version of this article was headlined "Dumb, Sad Firecrackers"